$279.99 Seen a lower price? - 76-key Graded Soft Touch (GSl) keyboard action provides gentle weighting, making the lower keys heavier in touch and the higher keys are lighter whilst retaining the soft touch of a digital keyboard. - Battery powered! Uses six "AA" batteries with five hours of life! NOTE: Power Supply NOT included. Available separately, see accessories list. - Accessories: * Owner's Manual * My Yamaha Product User Registration * Music Rest * AC Adaptor: PA-150 or an equivalent * May not be included depending on your particular area. 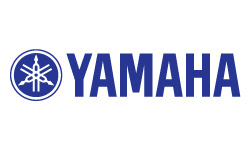 Please check with your Yamaha dealer. Available until 11 PM (EST) today. Mention special code 20F-FLZK when you call.